We're happy to announce the launch of BettingPros.com. 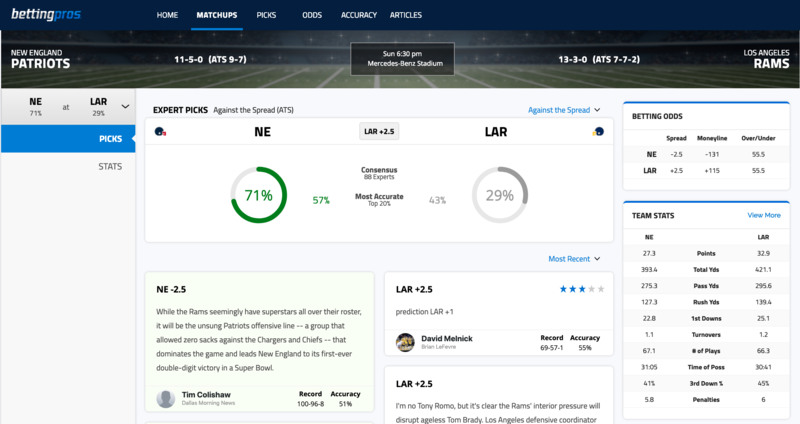 Bringing similar expert analysis and insight over from FantasyPros.com, you'll be provided with expert picks for matchups, including analysis against the spread (ATS), moneyline bets, and over/unders. If you're familiar with FantasyPros, we're probably most well known for our Expert Consensus Rankings (ECR). We'll be tracking betting expert accuracy, along with detailed information to help you make the best decisions when you put your bank roll on the line. 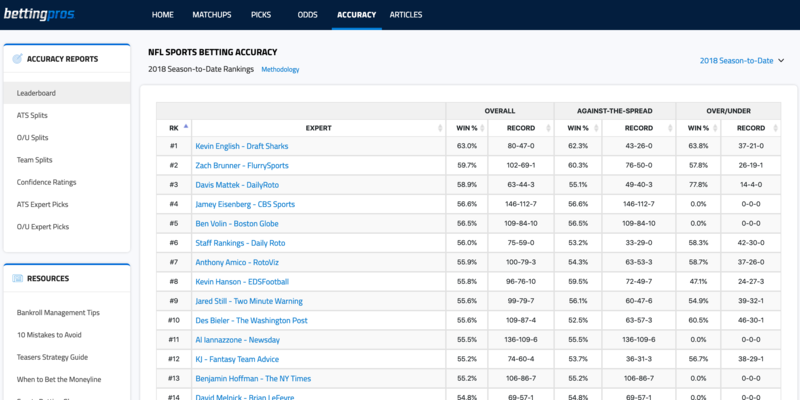 In addition to specific matchup analysis, we'll also be bringing you in depth articles on sports betting strategy, specific match ups, and more. While we launched in the latter part of the 2018 NFL season, we'll soon be introducing expert analysis for MLB and NBA matchups. If you're just getting started with sports betting, you can check out some of our articles on bankroll management, mistakes to avoid, or get an overview of sports betting terms.